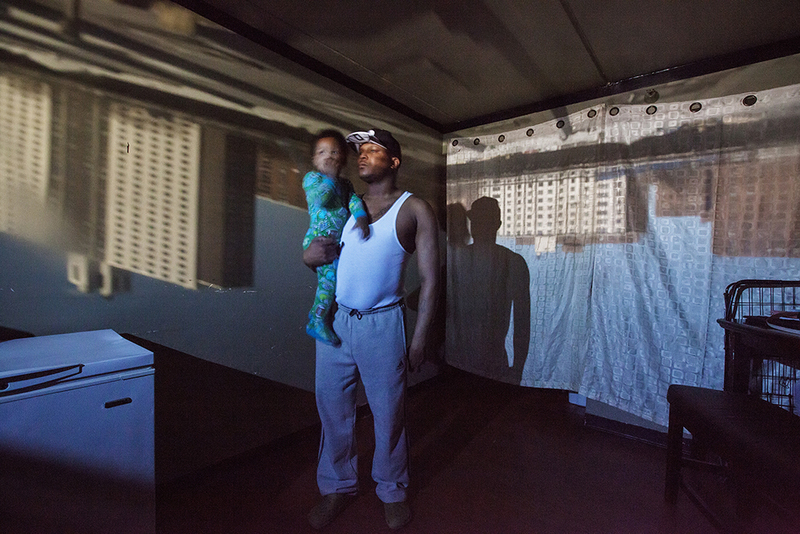 Raheem Grant, 39, poses for a portrait with his daughter, Nature Grant. “When I was growing up I didn’t have a father. My little one, she gets scared of the dark: ‘You don’t have to be scared because Daddy is here.’ Just knowing that I am there for them makes me feel like I accomplished a lot." Ramall Thomas, 24, poses for a portrait in East New York, NY on April 19, 2015. “[As a father] you can’t teach a woman to be a woman, but you can show her what it’s like to be loved by a man, what type of man would she want to look into. Hopefully it would be somebody like her dad." David "Prince" Pierce, 22, poses for a portrait with his son, Prince David Pierce, in East New York, NY on March 29, 2015. "I think about this all the time: who am I doin' this for? Can I really make this work with his mother or am I just running away from it 'cause I still want to live my life? I don't want to be tied down. I know a lot of cats that didn't see 21, didn't see 25, didn't see 30." Willie Johnson, 33, poses for a portrait in East New York, NY on Feb. 13, 2016. Joshua Mann, 34, poses for a portrait with his son, King Joshua Mann, in East New York, NY on March 29, 2015. "I'm just gonna keep my son strong to me. He's like my best friend. He's gonna be stuck to me like glue. I can't let nothing happen to him. I'd let it happen to me before it'd happen to him. I can't be subject to my son out here being shot, stabbed or however they go." 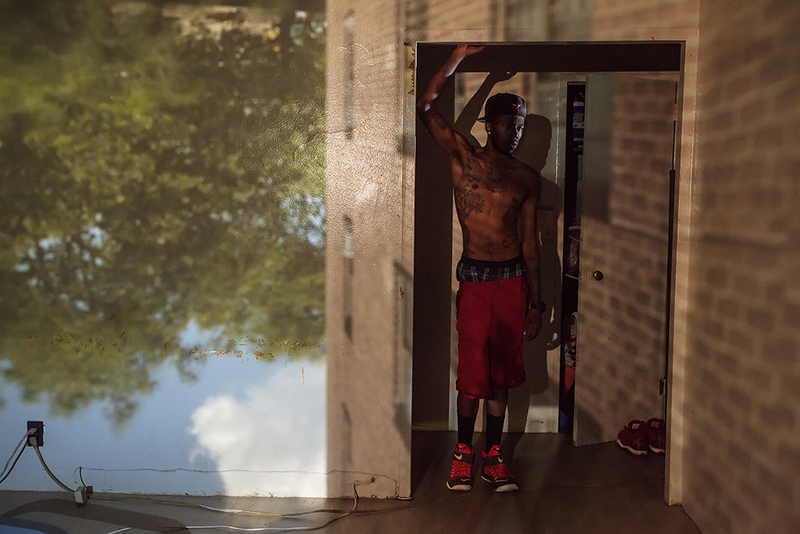 Kelvin McJunkin, 29, poses for a portrait in East New York, NY on July 25, 2015. "The first time I can remember meeting my father he came to my grandmother's house, pulled me to the side, and told me that my mother got killed. After that I went into the foster care system. I would die and come back to life before I let anything like that happen to my daughter." Esau "Chubbs" Johnson, 23, poses for a portrait in East New York, NY on May 30, 2015. "The cops are cracking down on us. You know, they are shooting kids. That's really what I am worried about: my daughter growing up in that environment." 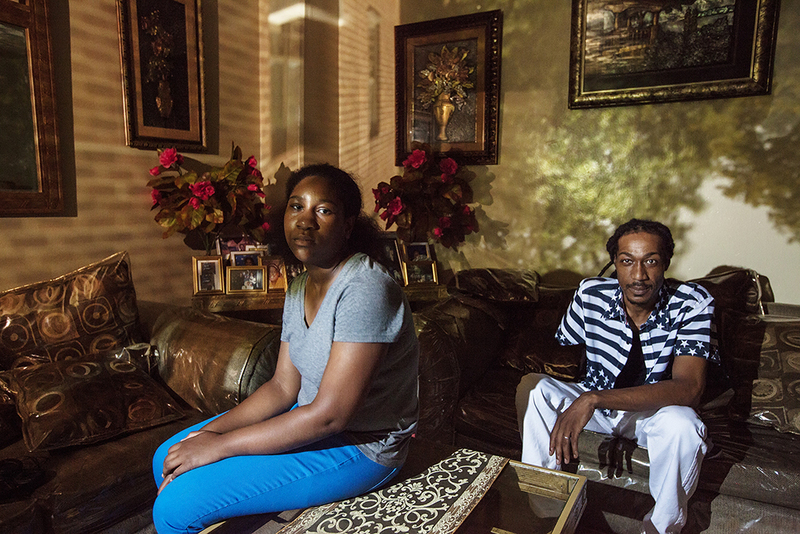 Jason "Law" Woods, 42, poses for a portrait with his daughter, Nevoeh West-Woods, in East New York, NY on July 28, 2015. "The courts do work for men but a lot of men won't pursue that. 'Cause it's been throughout time that you go to court for your child and nine times out of ten, they gonna give it back to the woman. It's like: why fight?" Michael Cathlin, 26, poses for a portrait with his step father, Michael Burke-Andrade, in East New York, NY on July 25, 2015. "Thankfully I walked in [the delivery room] right before my son started crying. So I was there for the whole thing but it was the fact that the mother didn't want me there." 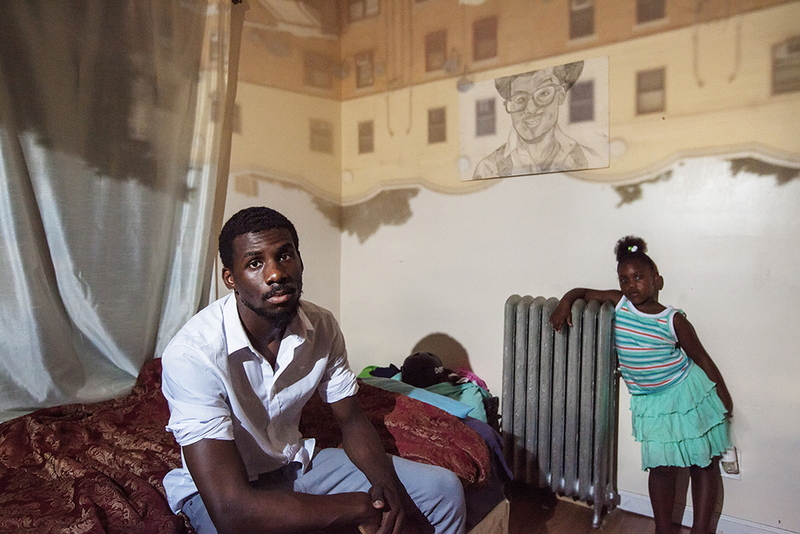 Ariel "AJ" Jones, 25, poses for a portrait with his daughter, Lexi Preston, in East New York, NY on July 12, 2015. "Boo" poses for a portrait in East New York on July 25, 2015.